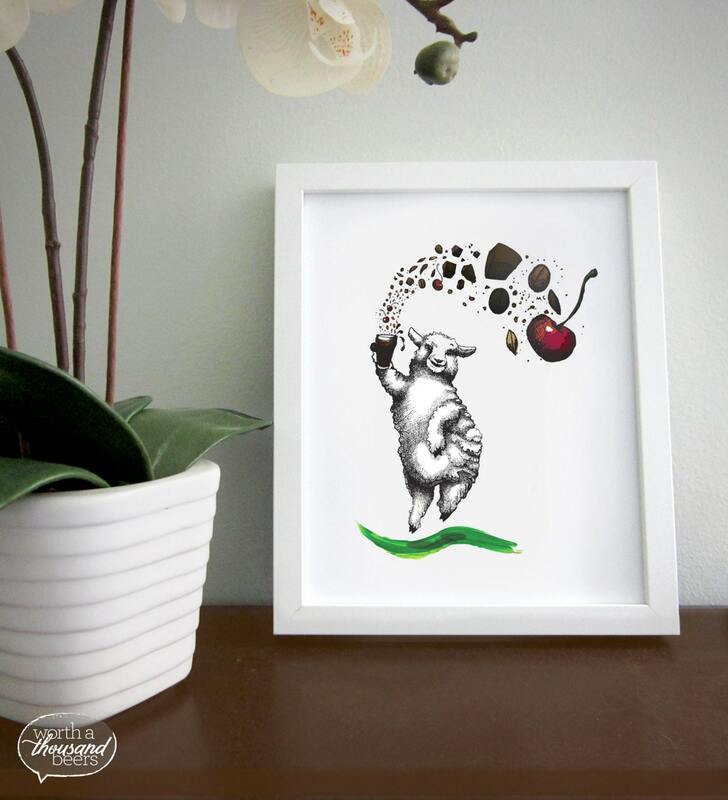 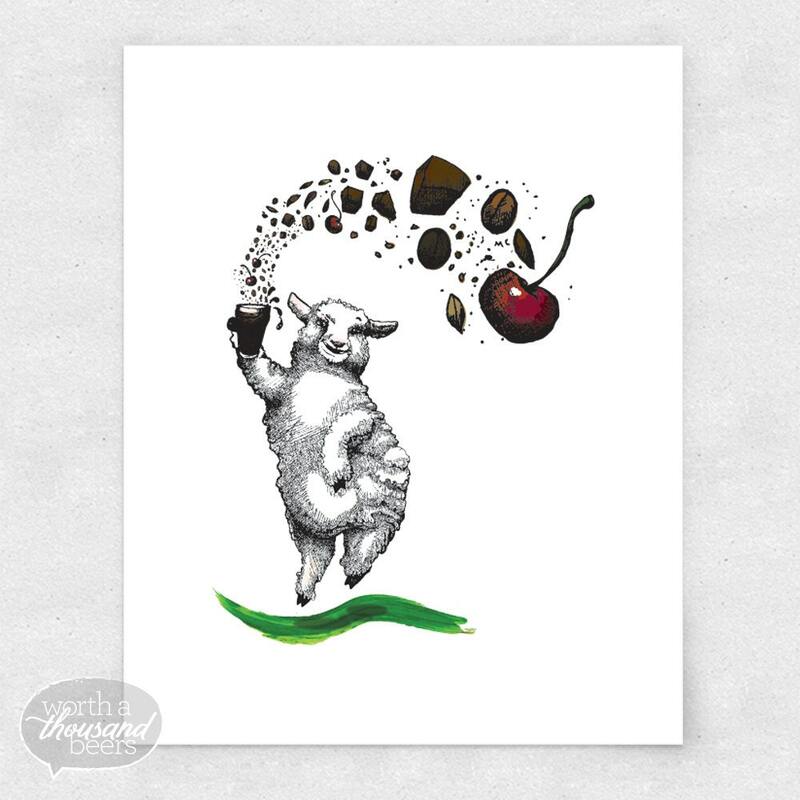 This sheep art print of a luck lady ewe illustration shows how much she really enjoys raising her glass full of sweet, chocolate cherry stout. 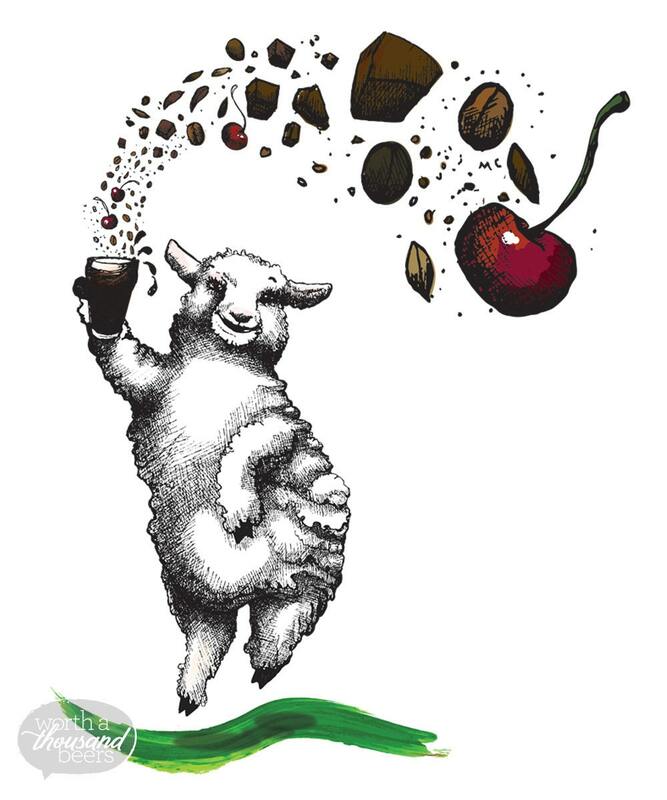 I originally created this illustration as label art for a St. Patrick's Day homebrew that my husband and I made for a party we hosted this past March. 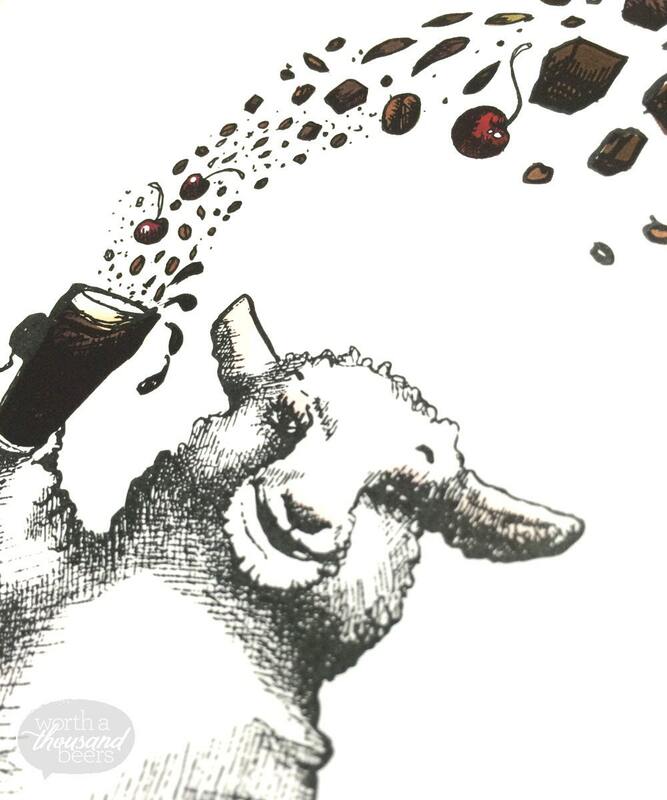 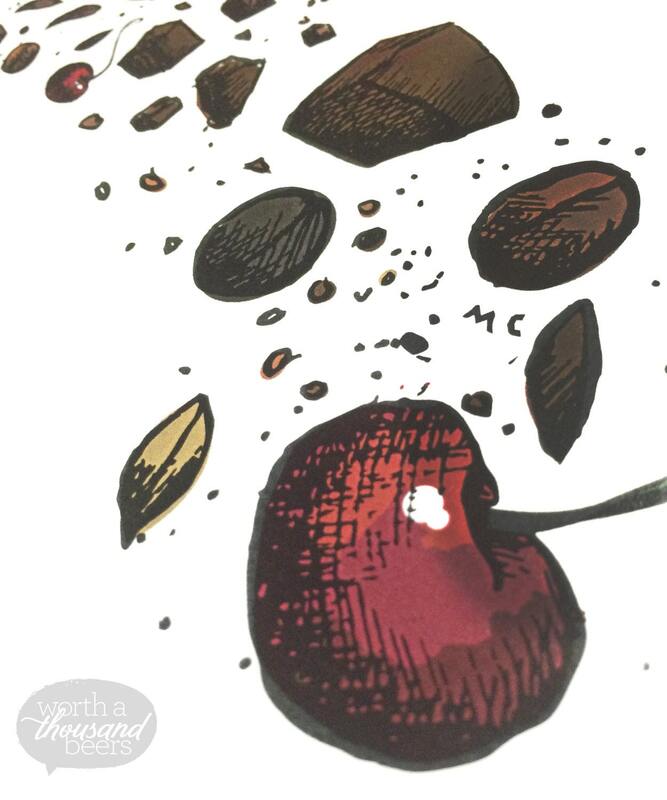 We brewed an imperial stout with chocolate and bourbon-soaked cherries added, and named it after a common character that can be found prancing across the green hills of Ireland – this Lucky Ewe.